Remember when you were pregnant (maybe you are) and you went to prenatal classes… They would have that one class – demonstration day. The nurse would show you how to hold baby, nurse baby, sooth baby, change a diaper and even how to bath and dress baby. Viola! You know it all because obviously figuring out the basics would be the hardest part of parenting… What if we left the demos to YouTube and rather focused on the more challenging bits? 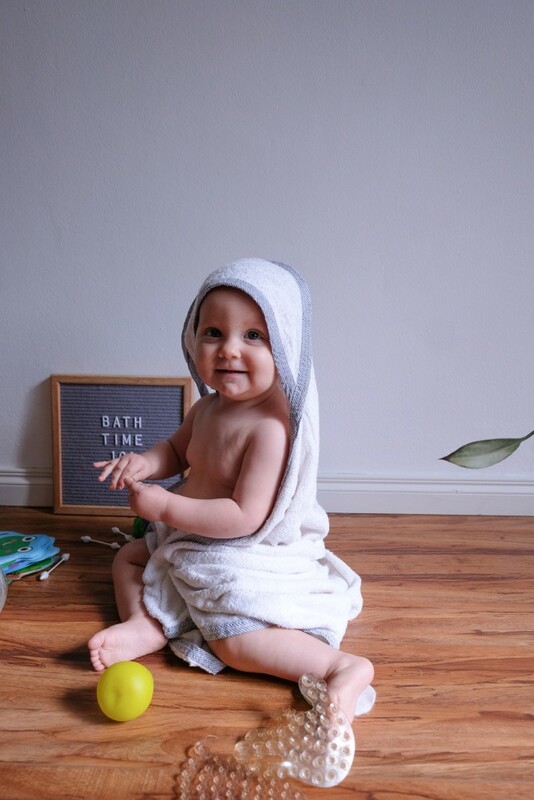 Like what bath time with baby really looks like and how to go about establishing a good routine? Skin isn’t just skin. It’s our biggest (yet most neglected organ) and a baby’s skin differs a lot from our own. A baby’s skin actually continues to develop after birth, specifically it’s ability to act as a water barrier. The inside of mom’s belly was pretty much a hydro spa and vernix came in handy, covering and insulating baby. 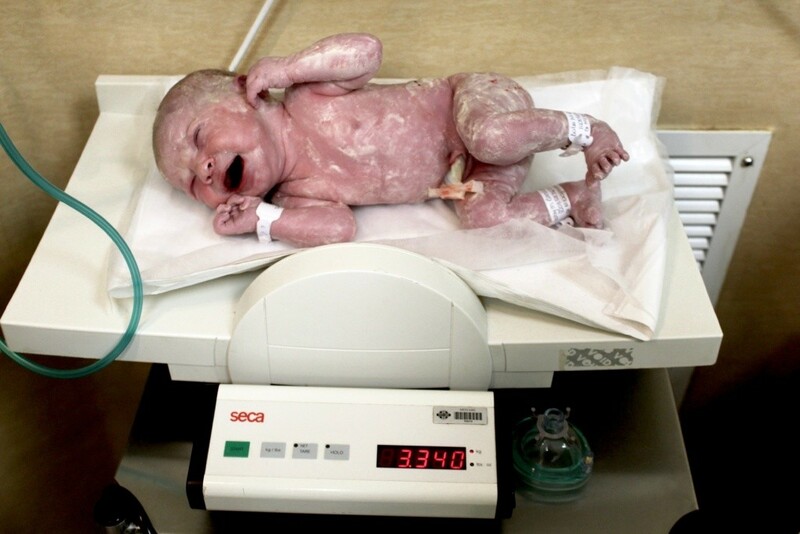 In case you were wondering: Vernix is the the waxy substance on baby’s skin after birth. Meant to protect and boost immunity. We bathed Eliana 2 days after she was born. With Lia and Ava we waited for their skin to absorb every last bit of vernix massaging excess blobs into every inch of their perfect little bodies. So far both of them have far less skin issues than big sis Eli. It may just be luck of genes but we’ll never know… Your baby has nothing to loose by waiting a week or so for that first bath. One part that needs some extra care from day one… Baby’s umbilical cord. Don’t be scared. Baby can bath and go about being cute and adorable, just be sure to apply some surgical spirits to the wound after every nappy change. Also give it a minute to dry after bath time, once again applying surgical spirits. 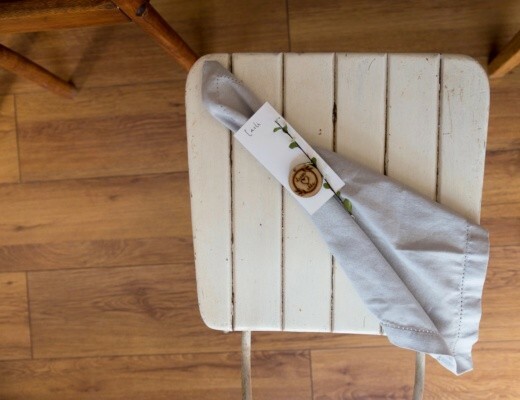 Modern newborn disposable nappies have a little cut-out making sure not to let anything irritate the umbilical cord but if you’re using cloth or bamboo disposables; simply fold down the front making sure the umbilical cord is exposed. Never tuck or pull at the cord and don’t try removing dry blood. In time (usually 10 days) the cord will fall off on its own. Eliana’s cord stuck around for a month, while Ava’s was gone by week 1. All normal and okay. Newborn babies don’t need to bath every, single day. Every other or third day will do. A simple top-and-tail, face-and-bum wash is all that’s needed for the 1st couple of weeks. Find a time of day that works for YOU. If mornings are easier than evenings then it’s perfect. Just be sure your baby isn’t tired or hungry. TOP TIP: At first we bathed our girls late at night, 9pm. Afterwards we’d have a quick cuddle and feed. Then we’d put them down by 10pm and enjoy at least 6 hours of sleep. Have everything you’ll need set out and handy. You don’t want to rush off in the middle of bath time to fetch lotion or socks, leaving baby alone and potentially at risk. Make sure the room or bathroom is warm and comfortable for baby closing windows and doors. Bath water should be lukewarm (around 38-40°C). Use your elbow to feel or a bath thermometer. The water level should also be shallow about 5-10 cm for sitting babes or under baby’s arm when lying supported in your arm or a bath chair. 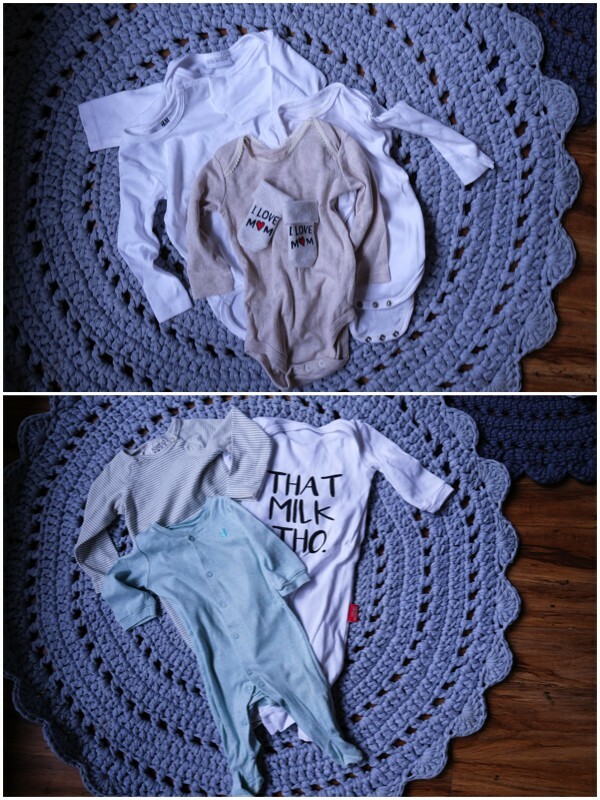 Wash baby’s body from top to bottom and from front to back. Always end bath time with a cuddle making your little one feel safe and loved. We made Ava’s 1st bath a family affair and treasured memory letting the girls help dad. Step 1: Undress baby and wrap him / her in a blanket. Wipe baby’s eyes and face with damp cotton wool from the inside, out. Step 2: Open-up the towel and cover baby’s body in baby wash or lotion. Slowly lower baby into the water, supporting his / her neck and body with one hand while washing with the other. Remember: Wash in between every fold and roll. Especially in baby’s neck. You’ll be surprised to find traces of milk, spit-up and dribble. Step 3: Wash baby’s hair gently. Step 4: Take baby out of the water and press his / her body dry with a soft towel. Step 5: Apply baby lotion to your little one’s body, massaging into the skin. Step 6: Dress baby comfy and warm. 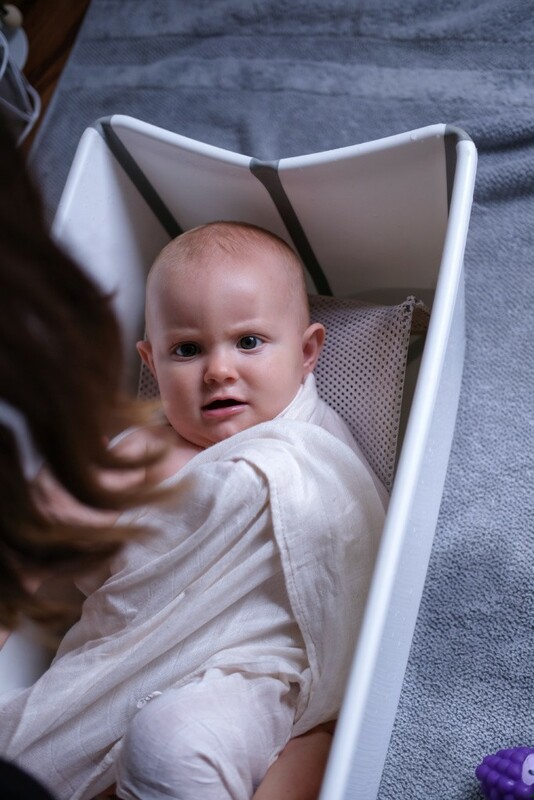 baby bath – The flexibath is so convenient when is comes to traveling and a practical space saver too. We bought ours 6 years ago from Kids Emporium. baby bath chair and pillow – We used a chair for our girls during the first few weeks. Then moved onto a floating bath pillow. Ava loved the freedom of floating around in a big tub. Unrestrained, calm and relaxed kicking and splashing with her legs. Using a pillow made it possible for her to bath with her sisters and mommy too. The Easy Bath pillow was developed by a South African midwife and paediatric physiotherapist and they are manufactured as part of a community upliftment initiative by a disabled mom in an informal settlement in Gauteng. 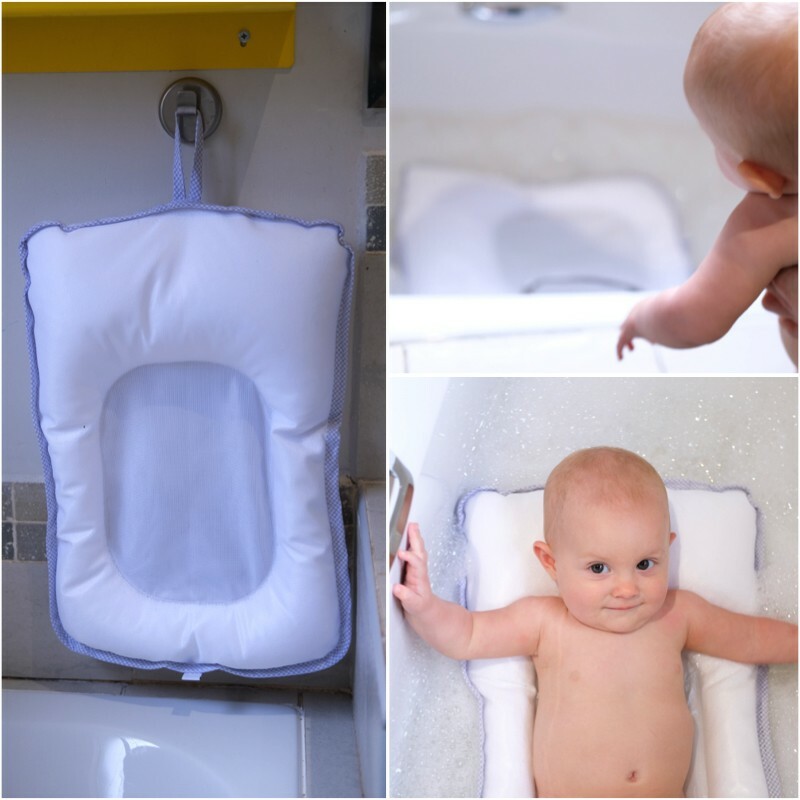 It can be used for premature and full term babies up to 9kg and easily stores away after bath time by hanging it onto a hook or the tap. It dries completely in 30 – 60 minutes. It is also fully machine washable. baby bath ring – At 11 months a bath ring works best helping Ava sit upright and supported. These are readily available. A baby’s skin loses moisture faster and also has a higher pH level. All of this makes their skin far more susceptible to dryness, irratation, nappy rash, infection and skin disease. That’s why it’s so important to take proper care of your little ones skin. Keep it simple and be wary of natural home remedies. Something like olive oil might seem harmless but it can actually cause irritation. Also, remember not to prolong bath time unnecessarily. Water dehydrates skin. Be sure to wrap baby in a soft blanket moisturizer properly ASAP after they’ve gotten out of the water. A couple of years ago we made a choice to “go green”. 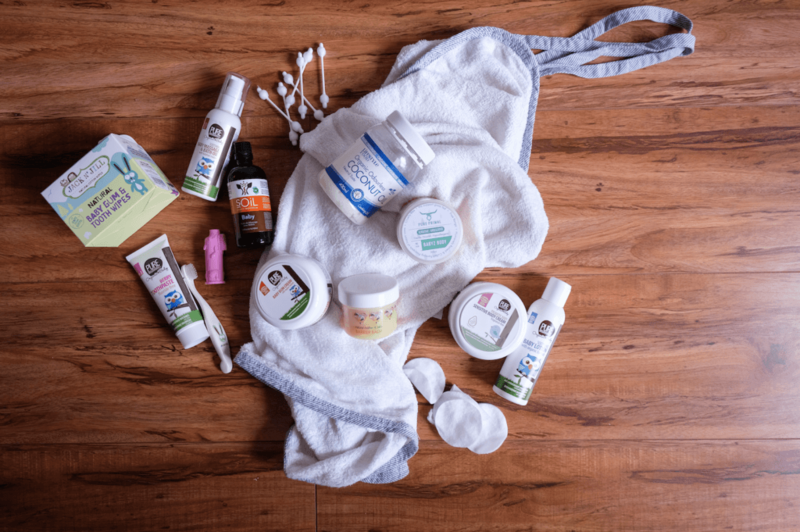 Opting for cloth diapers, bamboo disposables and organic skincare. Pure Beginnings has been our number one “go-to” baby brand when it comes to skincare. During the 1st weeks of our girl’s lives we used the baby lotion as a body wash. The new Prodiotic range developed for babies with sensitive skins works really well too providing extra moisture and protection. You won’t find a better bum cream either and good news, it’s safe to use with cloth nappies. I keep a Mother Nature Products barrier balm close for that 1st few sticky, meconium nappies. It’s very similar to traditional petroleum jelly making everything wipe away from baby’s bottom easily. What if baby has eczema? Sometime during those 1st few weeks most babies tend to develop eczema. Once again, this is nothing to worry about and just another hormonal side effect. The eczema shouldn’t need any special care or creams. It won’t cause discomfort or damage to baby’s skin. Everything should clear up naturally within a few weeks. If eczema however seems to persist or become more aggressive other causes could be responsible. Eliana has a very sensitive skin, especially during winter. Washing all our clothes and bedding with Woolite Sensitive makes a huge difference. I also cut out any clothing labels and tags that could cause irritation. Sticking to natural fiber bedding and clothes when possible also help skin to breath. Our best way to combat dry, sensitive skin has to be the Pure Primal Sensitive Babys Body balm. Nothing soothes, protect, heals and moisturises sore skin quite as effectively. Seek medical attention is baby’s eczema worsens or becomes infected or causes pain. Always wash hair last. Babies still struggle to regulate their body temperature and having wet hair can make them feel cold and uncomfortable. Hair also only needs to be washed once a week. Gently with special baby shampoo. Rinse off the shampoo by using a wet washcloth, slowly wiping away the foam / soap. Cradle cap is very normal and a lot of babies experience scalp dryness due to hormones. Never try scratching. Wash babies hair less, apply a little bit of coconut oil overnight and lightly brush away the loose skin in the morning. This should only last for a few days. If the condition worsens or doesn’t seem to clear up consider consulting a doctor or pharmacist. 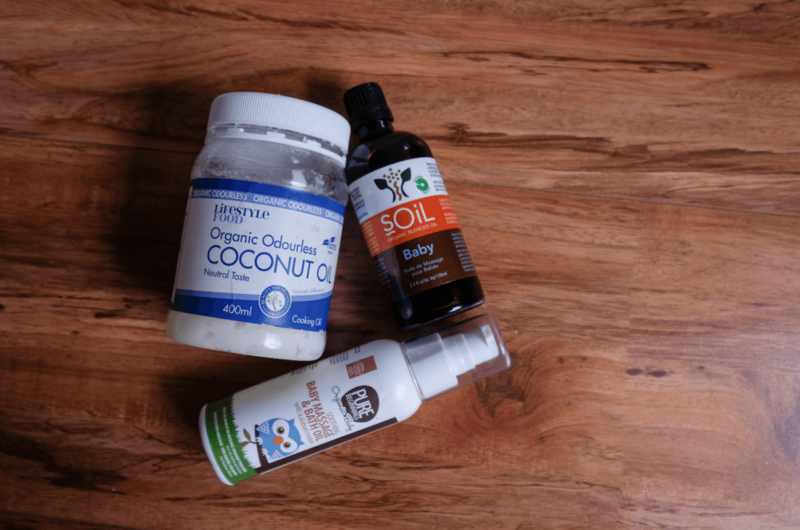 We love applying coconut oil to the girls hair from day one and we’ve never had any scalp worries. Ears are actually self-cleaning and earwax shouldn’t be removed or cleaned out with an earbud. 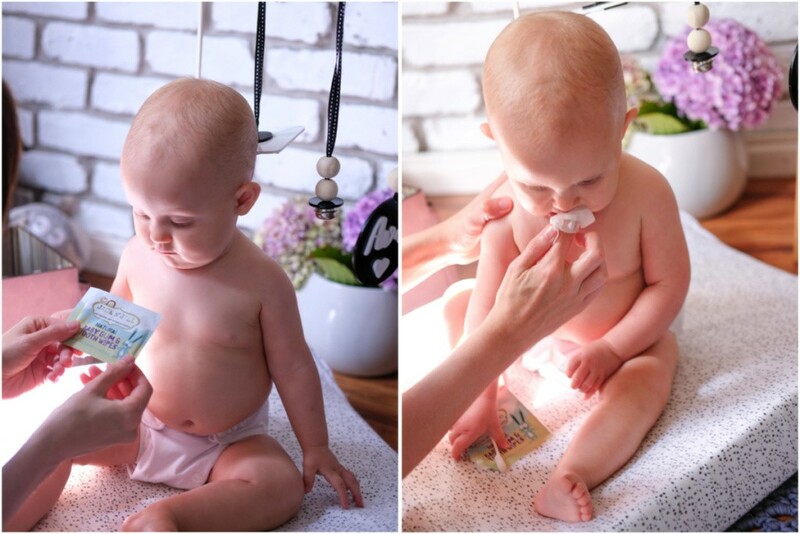 Use a damp wash cloth, piece of cotton wool or ear bud to softly wipe behind as well as the outside of baby’s ear making sure to remove any milk or drool that may have found it’s way there. Also be careful, not letting water flood baby’s ears during bath time. Use our thumb and fingers to keep baby’s ears closed when letting water flow over baby’s head. You’ll only need to clean baby’s eyes if they are “dirty”. Once again a damp face cloth or piece of cotton wool works best. Be sure to wipe from the inside corner outwards removing any gunk or sleep accumulated. Newborns don’t need any dental or mouth care. We used Jack n Jill Natural baby gum and tooth wipes from around 12 weeks, moving on to a Brushies finger puppet tooth brush as soon as those 1st pearly whites made their appearance. Nowadays, at almost a year, we are using a baby tooth brush. The Jack n Jill soft baby tooth brush from Faithful to Nature is our preferred choice. We’ve only ever used the Pure Beginning fluoride-free 0-3 years toothpaste. Twice a day, morning and evening. Those paper thin nails can be sharp, scratching baby easily. The best time to trim them would be when baby is sleeping. I like using nail scissors but baby nails clippers work just as well. You can also use a nail file. For younger babies bath time should be kept calm, quiet and relaxed. Playing soft music, dimming the lights and lighting a scented candle in lavender or vanilla will help your baby to unwind and prepare for bedtime. Taking a bath will tire young ones so keep it brief and scoop baby into a soft, comfy towel hugging them close while wrapping them tightly. 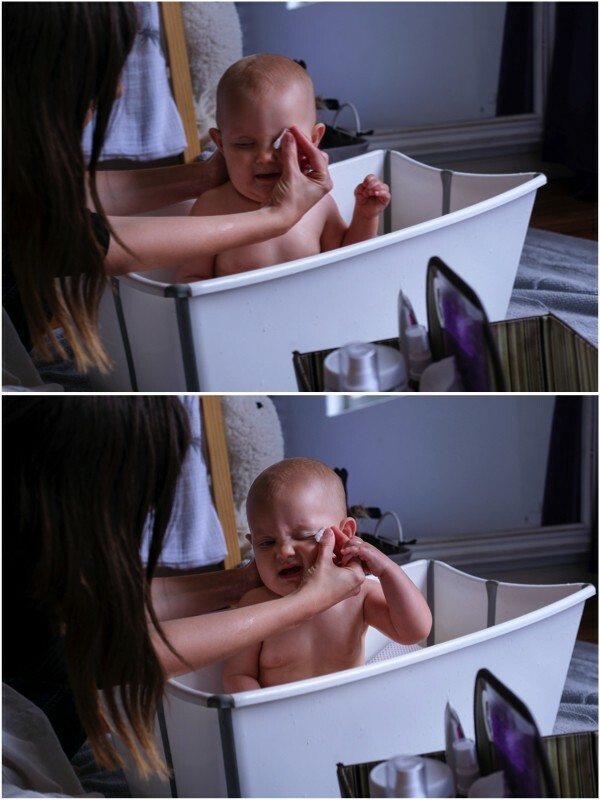 Deep touch pressure calms your little one so rather “press” baby dry with the towel instead of rubbing. Baby Massage is a must (and needs an entire post of it’s own). For now, just know that it’s wonderful for baby and include developmental growth, calming, bonding and de-stressing benefits. Use a special massage oil or simply go for baby’s moisturiser if you’re in a rush. 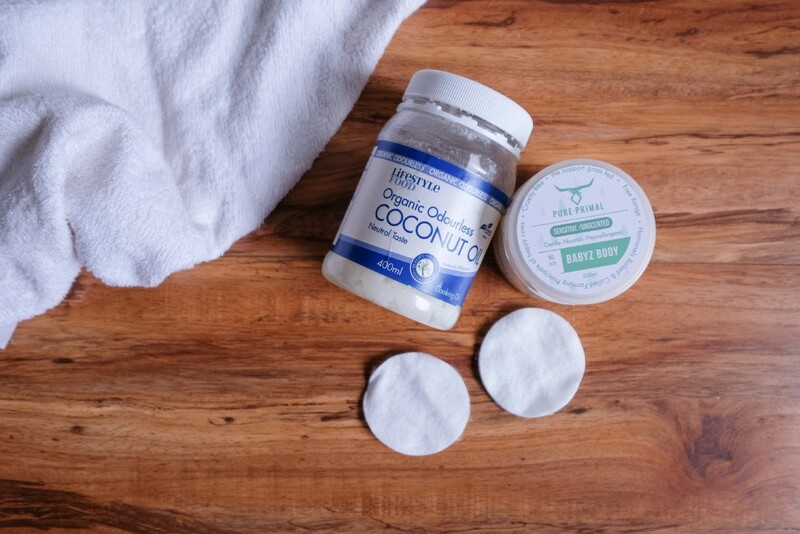 With a variety of options we once again enjoy using the Pure Beginnings Baby Massage and Bath Oil or just some organic coconut oil from our pantry. Massaging baby’s entire body won’t happen in day one. It will take time for your little one to get use to the deep pressure and stimulation. Use contrast dangles from Little Interiors to distract baby if he / she finds it discomforting at first and go slow at baby’s pace. Then just put on those pj’s. Nothing fancy needed. A good old body vest, socks and onesie should do. Our girls only sleep in natural fibers (cotton or bamboo) and we pile on the blankets and baby sleeping bags as needed. Now we kick of the bedtime routine with a story and milk feed. We did an entire post dedicated to BABY SLEEP ESSENTIALS AND ESTABLISHING A GOOD BEDTIME ROUTINE. Click here to find out more. 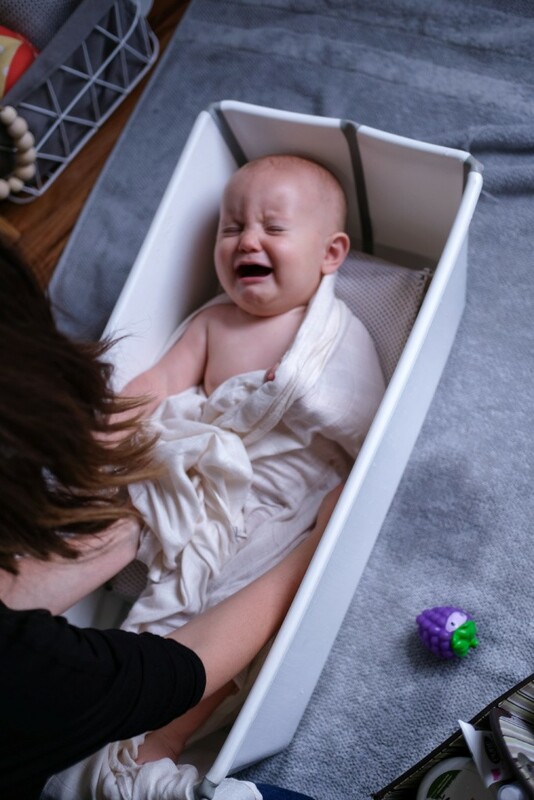 What to do if baby hates bath time? Wrapping her in a thin muslin blanket while bathing, only exposing the parts of her body as needed one-by-one, helped to keep her calm and made her feel safe. Over time Ava got use to bath time and now we can’t get her out of the water. Chelsea Strachan recommends placing a warm washcloth on baby’s belly to help sooth them. 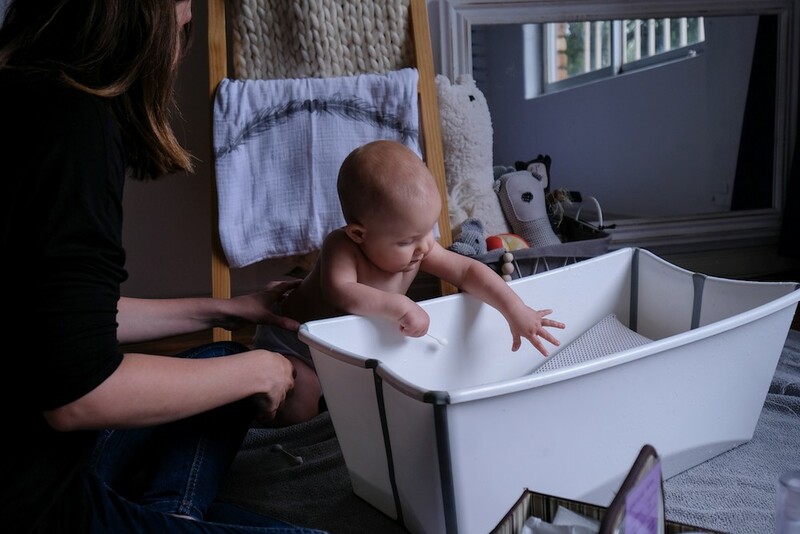 Gaelyn Cokayne started off by bathing their little girl in the kitchen sink, then a bucket on the kitchen table – no need to bend down and when their daughter was a little bigger they moved her onto an AngelCare bath seat. 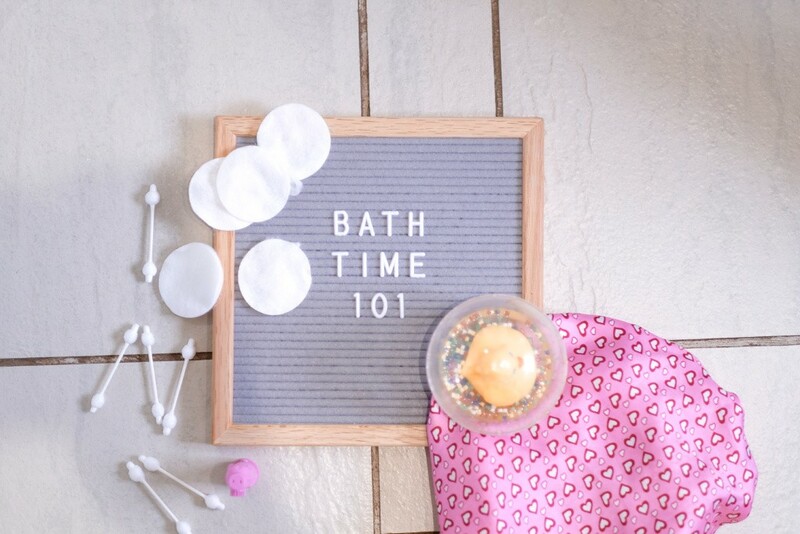 Fellow mommy blogger, Pediatrics and Play dough shared a top tip worth a try – Bath baby in Rooibos tea for the first 6 months and keep an eye out for “Sodium Lauryl Sulphate” on the ingredient list of baby-products as it breaks the skin barrier causing irritation and dryness. A few mamas also recommend using the Swimava neck floats. After a few months most babies enjoy bath time. Soon enough all those watery screams will turn into splashes and giggles. See this as a special opportunity to bond with your little person, to play and teach them about their bodies and senses. As always we included a fun interactive picture book that we read to Ava in preparation of bath time. It gives her an idea of what to expect and she really enjoys “washing” all the animals. Look into your little one’s eye, appreciating the perfect tiny person you get to hold in your hands. Talk to them about the different scents they smell while being washed and let them take a sniff. Wash them all over using different texture such as wash cloths, sponges and loofahs. Introduce fun water toys that can squirt, float, sink, scoop, pour… It doesn’t have to be especially bought. Any plastic cup or container will do. We do however like to include a bath book or two and bubbles! 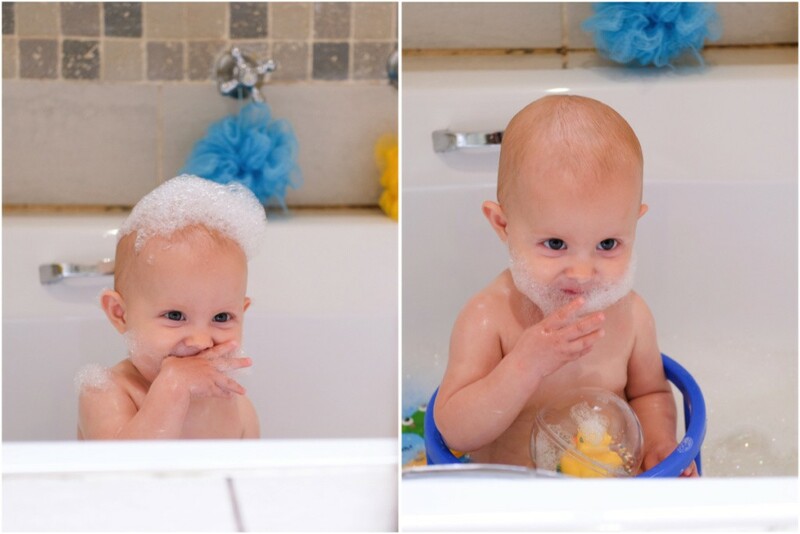 As soon as baby is old enough you can definitely add bubble bath. Not to much though. Young kids can easily be overwhelmed by bubbles and remember to hold on tight as things do tend to become even more slippery. 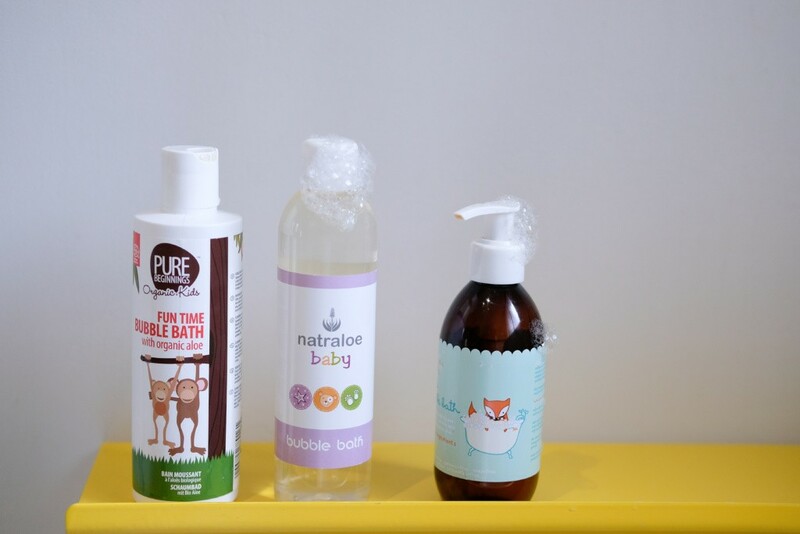 We’ve tried a few brands of bubble bath and they all have something different about them but our favourite has to be the Pure Beginnings Fun Time Bubble Bath. 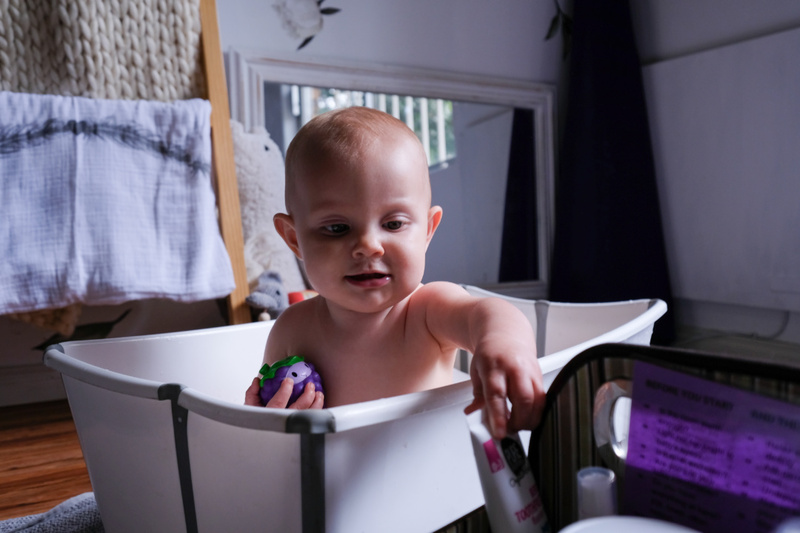 It foams just as good as any on the market but won’t dry out your little one’s skin and obviously it doesn’t have any nasty chemicals either. Make bath time a memory to treasure! Top tip: This is a fantastic “job” for dad. In a lot of homes this is the only time during the day when dad is home, relaxed and able to spend time with his littles. It will also buy mom at least 30 -40 minutes to herself. Keep the tub 100% chemical free by using a “safe” detergent. 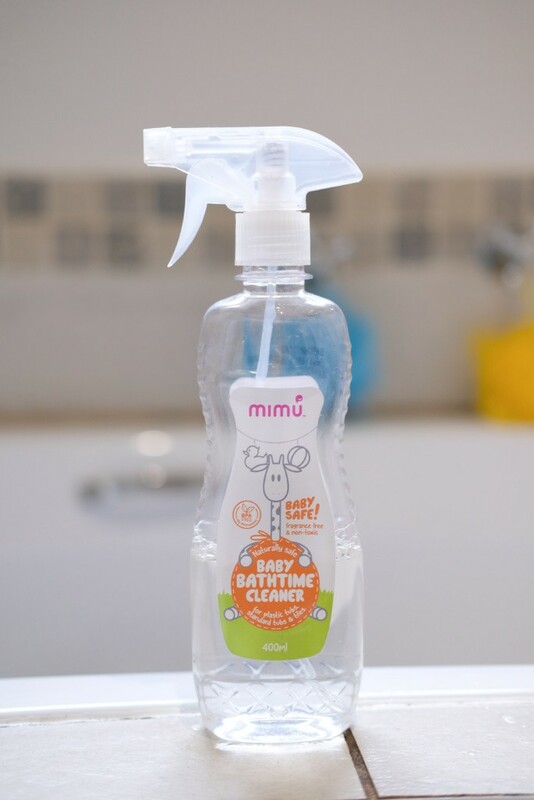 The Mimu Baby Bathtime cleaner works really well keeping our bathroom sparkling clean. Fellow #momboss brand MonaLisa Mamas and Easy Bath wants to make bath time with baby a little easier on one lucky mommy and her little. 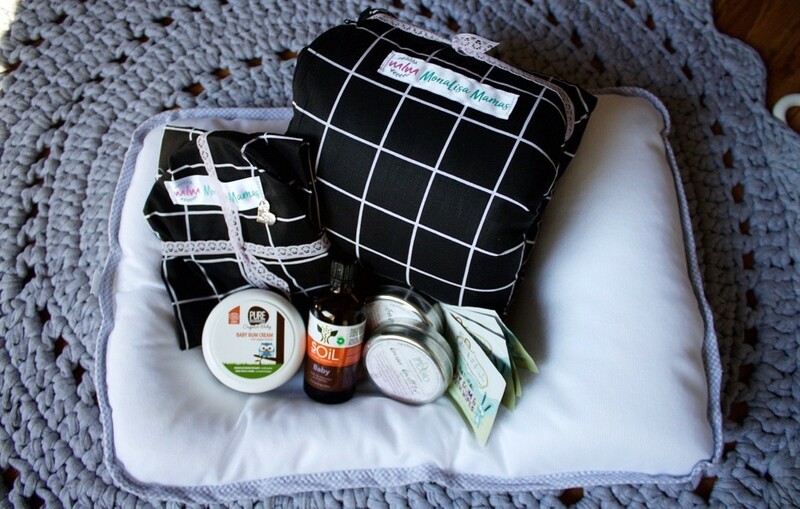 Win an easy bath pillow as well as a MonaLisa Mamas nursing pillow (and cover for when you’re out and about) PLUS some wonderful, surprise natural and organic baby bath time goodies to enjoy. Please leave a comment below telling us a little something about your own “bath time with baby” experiences and memories. 3 ways of entering means you’ll triple your chances of winning! Feel free to SHARE this post with all your fellow pregnant and mama friends too. Competition closes on the 30th of June 2018. The winner will be picked at random and announced on the 2nd of July 2018. The greatest care will be taken when mailing your prize but Just a Mamma and all parties involved in this giveaway do not accept any responsibility for lost, stolen or damaged goods. Thank you for all that amazing information, it’s so helpful. I love your Momming 101 posts! My little boy spent his first 7 weeks of his life in the NICU, he was a tiny baby born at 1,1kgs (31 weeks prem) , and I remember his first bath I clearly. 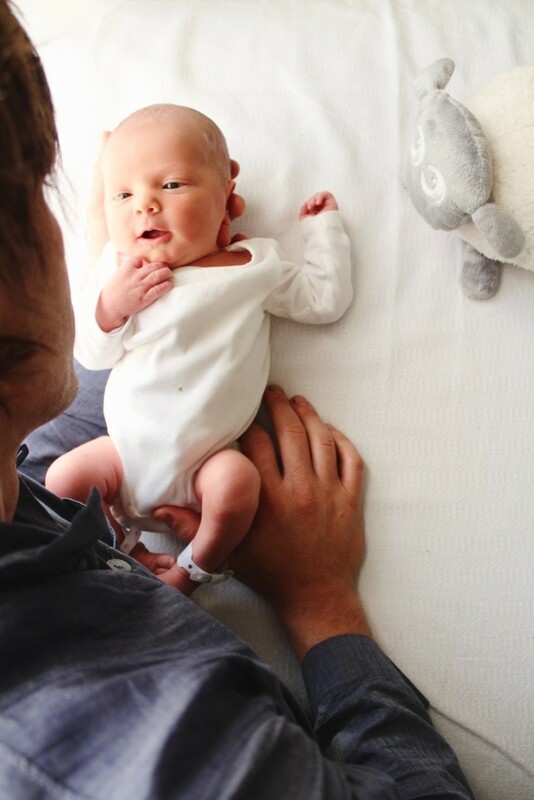 It was a few weeks into his stay, his nurse had shown us exactly how to hold him and wash him. Her experienced hands made it look so easy bathing his tiny body, and made me feel so nervous! He cried and cried until the moment I lowered him into the water, and he immediately became calm. It was so special. He loves the warm water, and now that he is the size of a newborn and so much easier to handle, we live our bath time! We also love using Pure Beginnings products, the smells are so lovely! I can’t wait for the fun interactive bathtimes ahead of us! Many little girl loves bubble baths and that’s the only way to get her to bath these days! She unfortunately suffers from a mild eczema especially in winter so it’s quite a challenge fighting an almost 2 year old to leave her bubble bath everyday. Thank you for ur helpful and insightful post, I’m due any day with my 2nd baby and these tips are going to be super handy! We tend to forget how we did it the 1st time around. Hope all is well! Your family is gorgeous!! 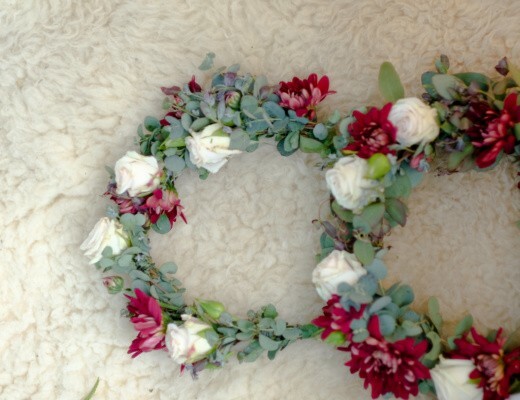 We are expecting our little one, but have been following your blog for a while! Especially excited about cloth nappies! Such an informative bathtime list, I have added the items onto my registry 🙂 I just always loved helping my aunts out with bathing their little ones when I was a child, can’t wait to spend this time with our little one! I’m pregnant with our very first baby! Your 101 post are so helpful & honestly makes it all sound do-able. It’s taking away from the anxiety social media tends to cause 😀 Would LOVE to win a bath-time hamper for bab! Thank you so much for all that helpful information. Bath time with my little monster is my favourite time of the day. It’s the time where we can just sit and enjoy some one on one time. I actually also use Pure Beginnings, been using it on him since he was born. After a bath I massage his chunky little body that I love so much 😍. Bath time is just my favourite time of the day😍❤. Our little baby boy loves bath time. We have a song we sing to him. With all the sweet giggles and gurgles bath time is a bonding time for dad as well since I am exclusively breastfeeding. This way, daddy gets to spend quality time with Dian. Bath time is always giggles and kicking fun.Happy baby loves the water! This is such a good read, every tip helps. We are currently expecting baby number three, in 7 days I am due. Thos would be a awesome win for us and will help us alot. With my first born I had the assistance of my grandmother who believed only in natural products, and that’s what I used pure baby soap and coconut oil at that time I has just finished my diploma in cosmetology and one of my subjects were massage so I massaged her alot at Bath times it was peaceful and I loved the binding experience even my husband would join in. With our second born I continued with the same regime and products, he was a winter baby so a few adjustments were made at which time of the day to have bath time. This time around this post has given me so much more tips that I can include into bath time when our little joy arrives. Thank you for sharing your tips and advice. Fingers crossed for this win. I absolutely loved reading this post, interesting and informative and enlightening. Bath time is made enjoyable with bubble bath and rubber toys. In this way having fun and getting cleaned at the same time. Bath time is always a special time .Life is so busy with work etc so its where we just take a moment. It was very scary at the beginning -new mom-1st baby but we got into it. We didnt have a bath chair or pillow.So would make sure everything was there and ready to use. My baby loves the water so that made it easier. Also put a face cloth on her body that was open while washing her. Toys, bath book and a non slip mat are my bath time essentials. 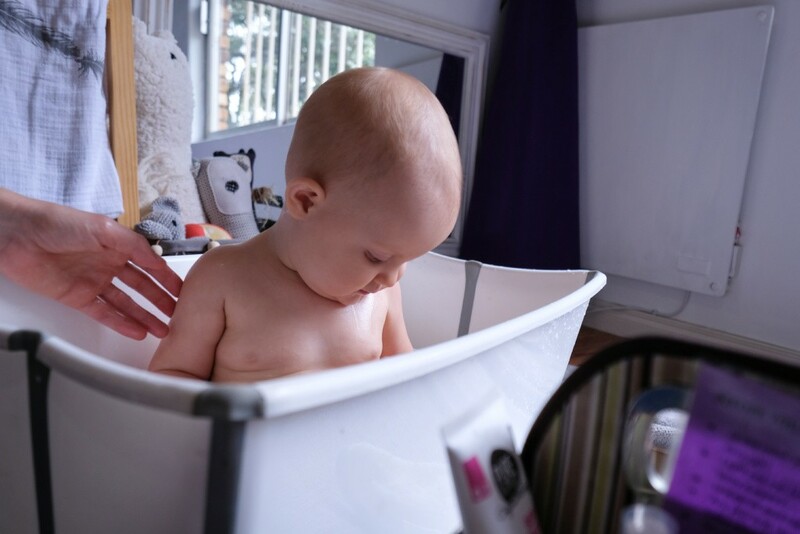 My top tip is do as much in the nursery before bath as you can so that you can put baby straight in the bath when you get to the bathroom. My little one loves his bath time, it’s his favourite time, he loves splashing in the water and kicking his feet about. Ons klein Sophia is nou amper 6 maande en badtyd is heerlike speeltyd saam met ouboet of ousus, hulle maak beurte om saam met baba-sussie te bad en te help! Dis so oulik om te sien hoe sy dit nou meer begin geniet, amper sterk genoeg om regoo te sit en mal daaroor om die water rond te spat… só oulik! Dankie vir al jou lekker raad. Vir ons met ‘n bietjie van ‘n laatlammetjie het dinge redelik verander sedert die vorige baba en dis veral lekker om te lees van al die nuwe lekker produkte op die mark. Bath time is my special bonding time with my baby, its daddy and baby time. The info is great. I used to bath my precious baby boy in a cloth nappies, and he felt really safe. Now he love bath time. It relaxes him before sleepy time. And he and daddy plays games. Great bonding time!! PS That means mommy had a quick break to clean the kitchen and prepare for bedtime. Win Win!! 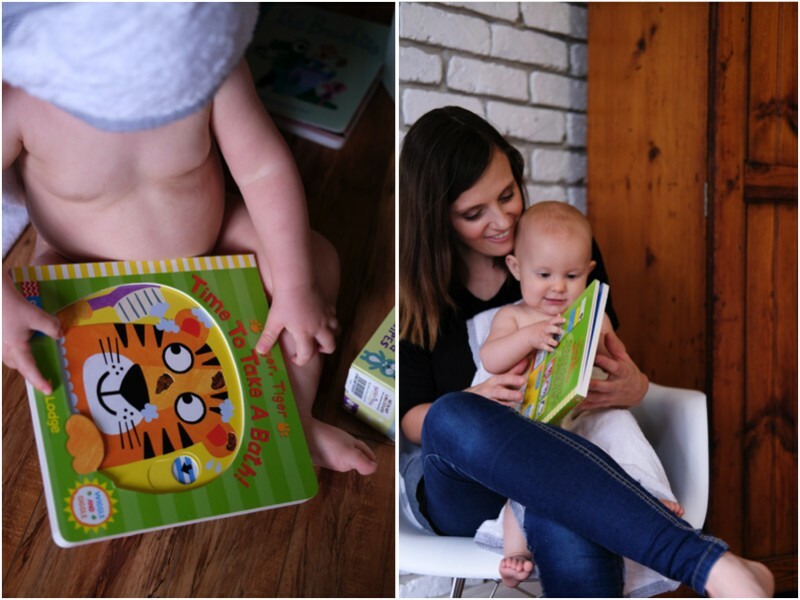 What a great read – very informative as a first time mum to be! Thanks for the great advice and would love to win that hamper!